Celtic Woman sing Ancient Land tracks live on Irish radio. We've had a busy week preparing and promoting our Ancient Land tour and DVD that releases this month. 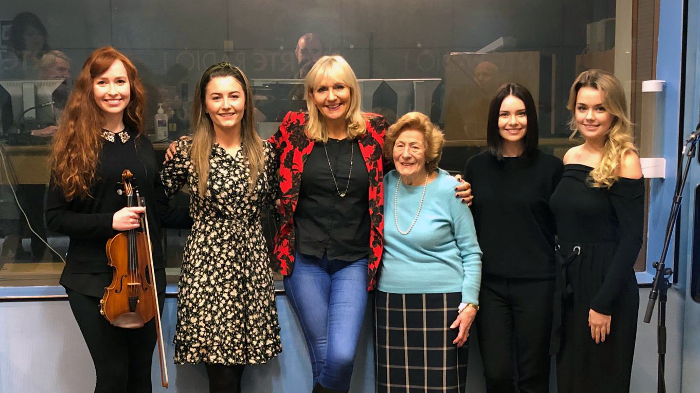 In particular, we loved performing two of our favourite tracks off the Ancient Land album on the Miriam O'Callaghan Sunday show on Ireland's RTÉ Radio 1 and had the privilege of meeting and singing for Irish music legend Dr. Veronica Dunne who was also a guest on the show. If you missed it, listen back here.